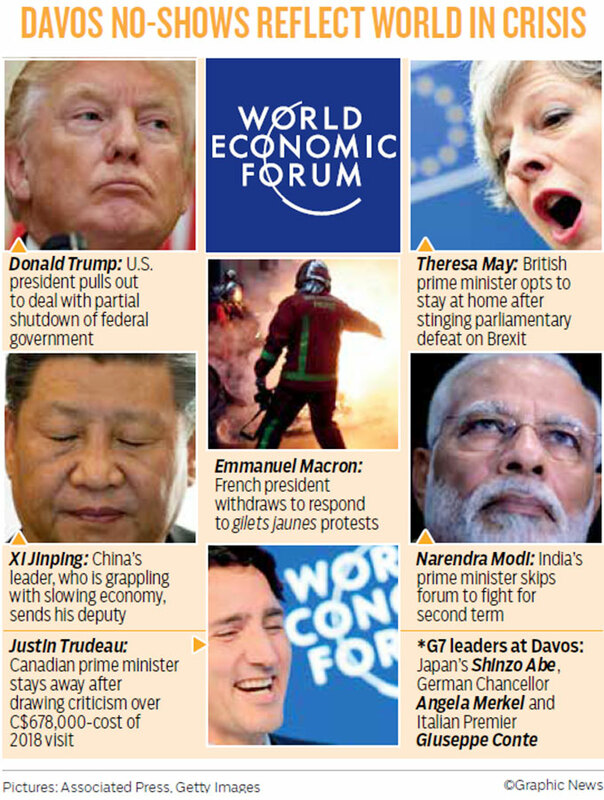 Zurich: An array of crises will keep several world leaders away from the annual World Economic Forum in Davos this week, which takes place against a backdrop of deepening gloom over the global economic and political outlook. 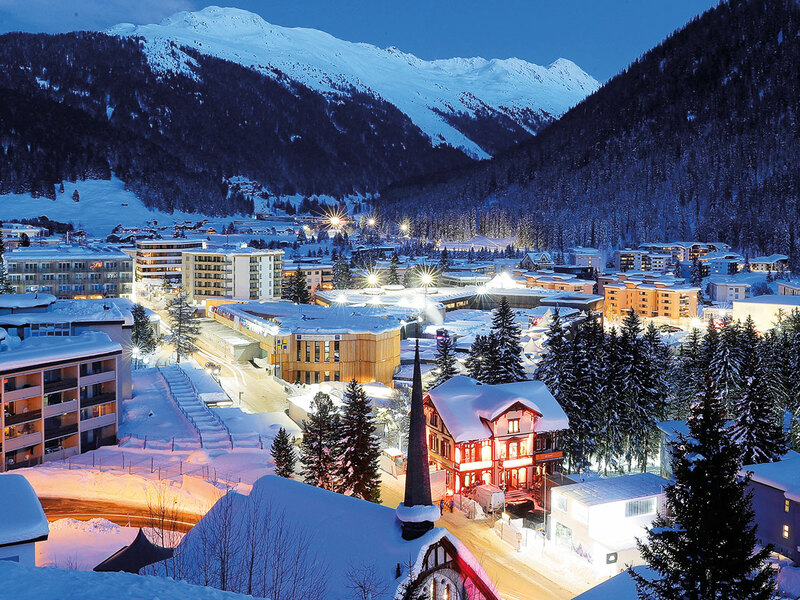 Anxieties over trade disputes, fractious international relations, Brexit and a growth slowdown that some fear could tip the world economy into recession are set to dominate the January 22-25 Alpine meeting. The WEF’s own Global Risks Report set the tone this week with a stark warning of looming economic headwinds, in part because of geopolitical tensions among major powers. Donald Trump, who stole the Davos limelight last year with a rare appearance by a sitting US president, pulled out of this year’s event as he grapples with a partial US government shutdown. Before the US cancellation, a White House official had said the US delegation would also discuss the importance of reforming institutions such as the World Trade Organisation, the International Monetary Fund and the World Bank. Trump has harshly criticised globalisation and questioned US participation in multilateral institutions such as the WTO, calling for a revamp of international trade rules. The low turnout among major Western leaders may also give more prominence to political personalities who may otherwise be upstaged. Davos will be the first major international outing for Brazilian President Jair Bolsonaro, elected on a wave of anti-establishment and conservative nationalism also seen elsewhere. He said on Twitter he would present “a different Brazil, free of ideological ties and widespread corruption”. “It’s the kind of place where in a few days you meet people you wouldn’t easily meet otherwise,” said Linchevski, who is paying 50,000 Swiss francs (Dh185,457) to attend the event.